In this blog post we’ll see steps involved in Mapping vCloud Application Director logical template to vCAC cloud template. In our previous blog post we saw how to build a Windows Template with Application Director 6.0 Bootstrap agent. 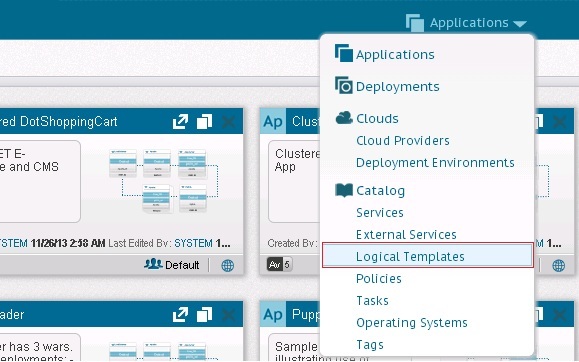 We saw how to build a template with the vCloud Application Director bootstrap agent. Now that the template is built with all the agents and has been made into a blueprint on vCAC. We can go ahead and import it to App Director and map it to a logical template so we can use it in our App Director blueprint. We will first log in into the vCAD portal as a business group manager. Then Edit the Cloud provider that was created in the previous post and then click “New” next to Templates. This will bring up another window that will let you choose a cloud template which has to be imported from vCAC blueprint. 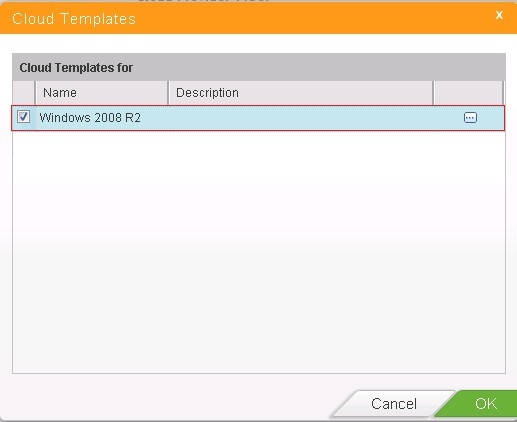 We have created a Windows 2008 R2 blueprint in our blog series so we will go ahead and select that. Once the template is selected, click on OK.
Click on Save, so the template is imported and saved. Now click on Logical templates in the Drop down menu. we will have to map the cloud template to logical template so we can use it in the blueprints of App Director. Now you will have to search for a logical template which will match the description of the vSphere template that we have built. In our case we will map it to a W2K8 R2 Enterprise SP1 template. Select the template and double click on it so it opens. Now click on the Edit button on the top right so we can map the imported cloud template. Now Select the “New” under the Cloud Template Mapping Section. From the cloud provider drop down, select the cloud provider and also select the template that was imported under the cloud template drop down. Save the Logical template. This will complete the mapping between the logical template and the vCAC cloud template. In our next blog post we will see how to publist a blueprint from vCAD to vCAC as a catalog item.